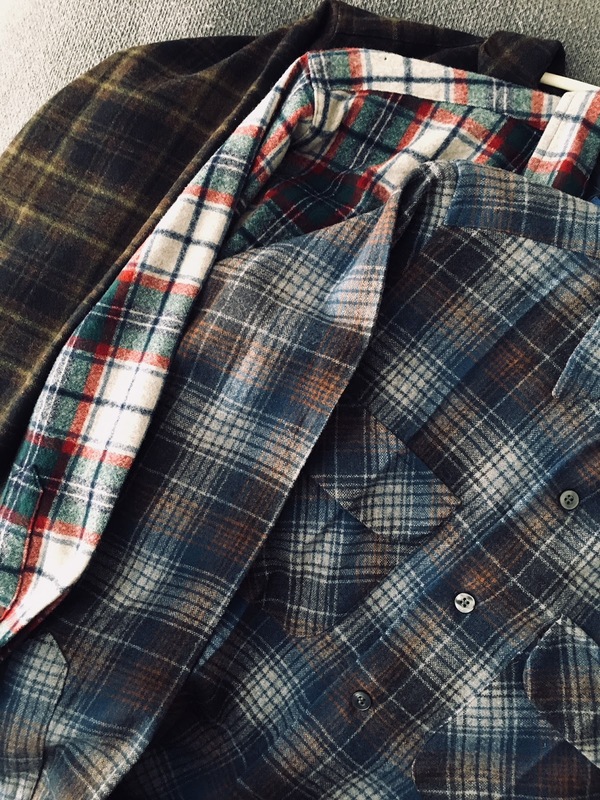 I probably write a post about vintage Pendleton shirts every year. And the reason is two-fold. 1. I wear them all the time. They're my favorite wool (not even the new Pendleton shirts can compare) and I love plaid like crazy. So, I'm never not going to wear them. 2. I sell Pendleton all the time. I've joked to my friend Lara that I should call my shop "Overalls and Hawaiian Shirts," because I sell those things the most. 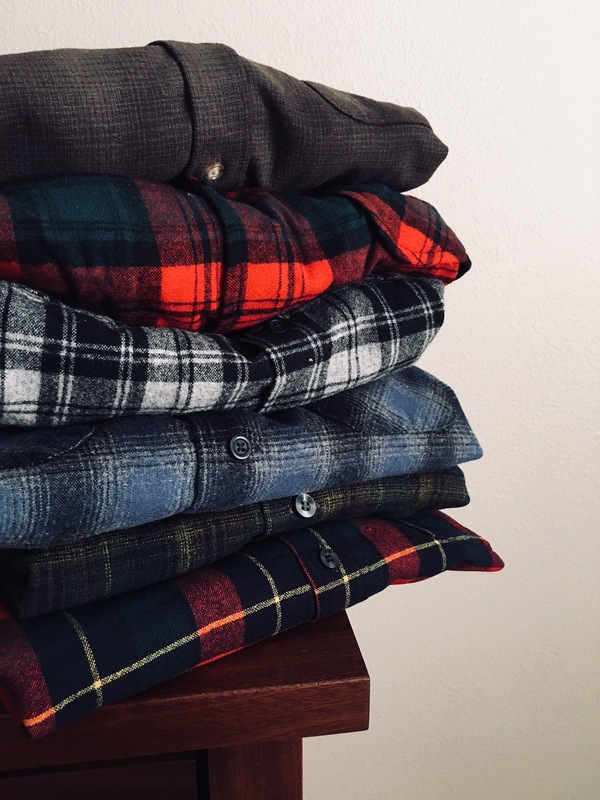 But, let me add Pendleton shirts, to that list too. If I could find them more, I'd sell them just as fast. Like me, others know why vintage Pendleton are amazing: they're quality. Listen, I love the Pendleton company. Even their stuff of today. But, I can't say I'll go out of my way to buy their new product. The moment they shipped their USA manufacturing to Mexico, the quality changed. I know some say the wool is the same. But it's not. And it's the way it's manufactured. It's difficult to explain, but after so many years in the vintage clothing/textile industry, I go by texture to insure quality. And the texture of vintage to new Pendleton is night and day. As is most clothing of today. But, especially the Pendletons. It's why I'm such a proponent of vintage wool, vintage plaid, vintage cotton, etc. Bonus: I just found a ring in one of the pockets! Granted, the ring is worth 50 cents. However, that's not the point. The point is it's vintage, it's cute, and I found it ... really, it found me. I love gifts like that. Those that are small and unexpected -- they seem to be the most valuable of all. Kind of like a kiss, or a hug, or a word of appreciation. Small and unexpected. But oh-so-very perfect. The shop is stocked full of Pendletons. ◄Come on by!